My dad is an absolute hero so I always get excited to have an excuse to spoil him for Father’s Day each year. 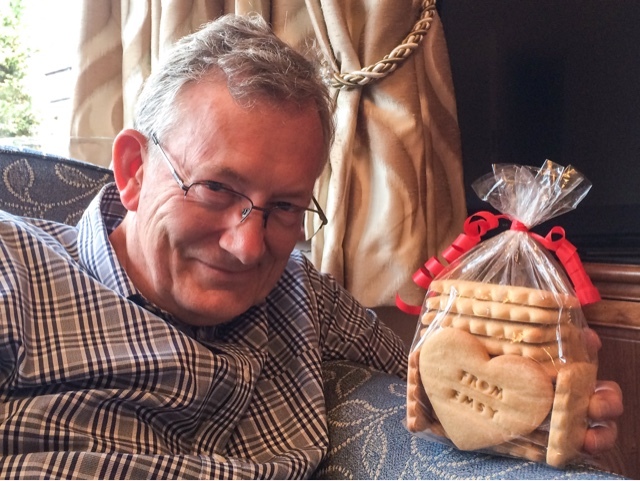 He’s a big biscuit fan and can often be found on the sofa with a cup of coffee and a biscuit (or three) whilst watching telly, so last year I baked him some personalised biscuits as part of his present. 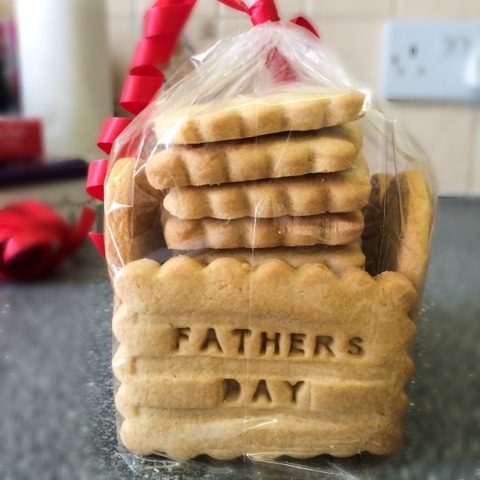 They went down a storm so I thought I’d share them with you guys today in case you fancied making some to celebrate Father’s Day this weekend. 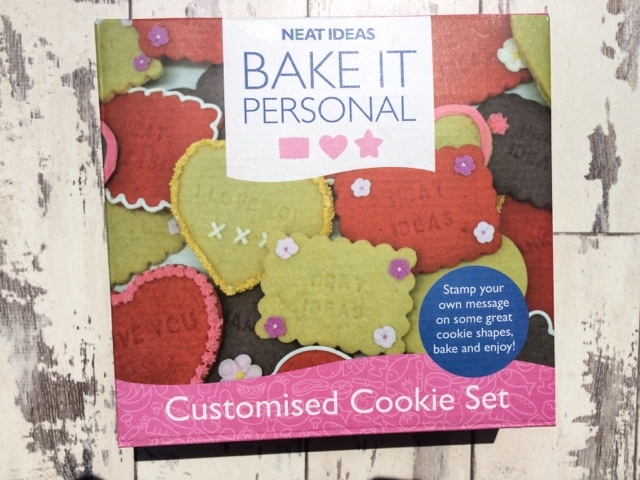 I bought a Neat Ideas Bake It Personal kit from Amazon which includes everything you need to bake cute cookies with your own personal messages on and at the moment is half price at just £3.99. 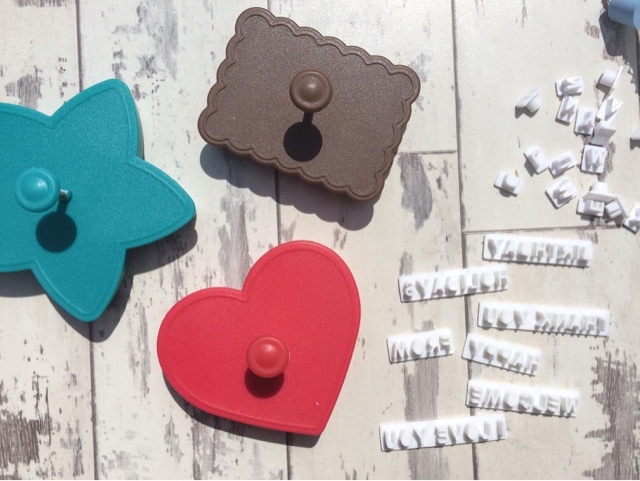 The kit includes 3 shaped cookie cutters, 7 pre-made phrases, a bag of letters and a rack for you to spell out your own messages. 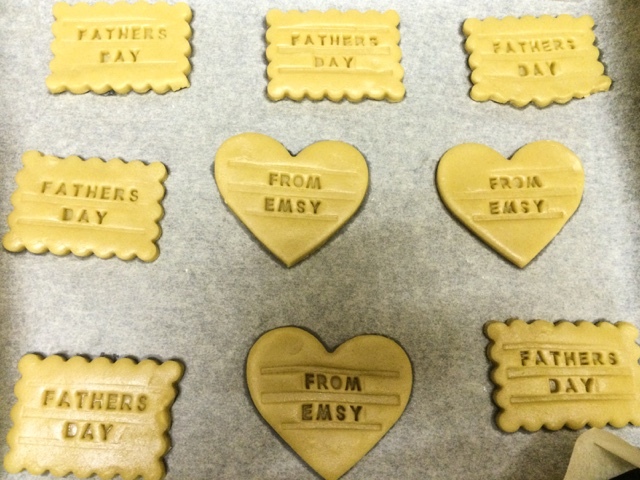 The idea is that you make up your own recipe of biscuit dough and then slot your message into the cutters and lightly stamp them onto the biscuits as you cut them out. 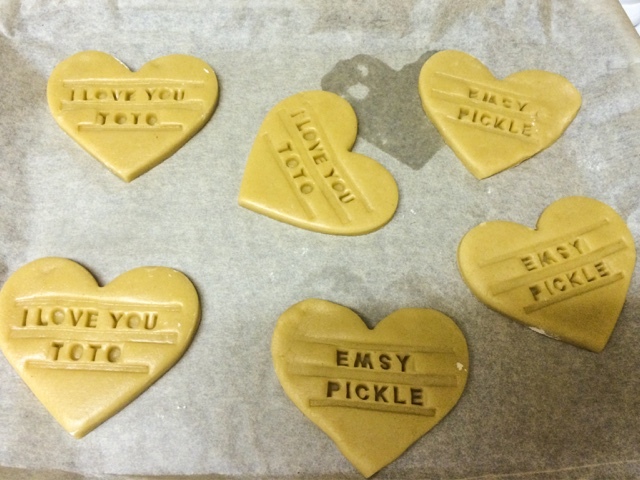 I used my old faithful sugar biscuit recipe as I wanted something plain which wouldn’t spread too much in the oven (so my messages would stand out clearly) I’ve blogged about that before here if you’d like to use it too. 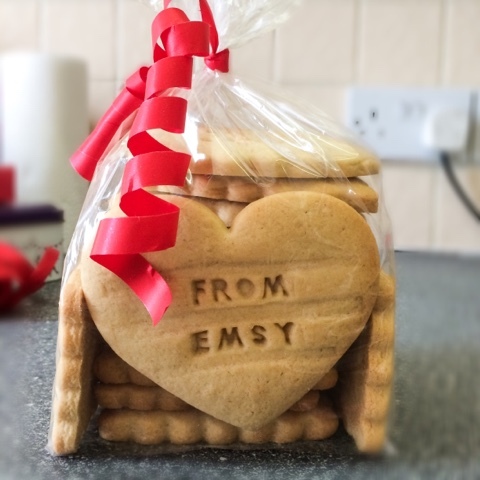 I decided to use the scalloped rectangle shape biscuit as it is quite traditional and has lots of space for the message to fit, and also the heart shaped cutter. 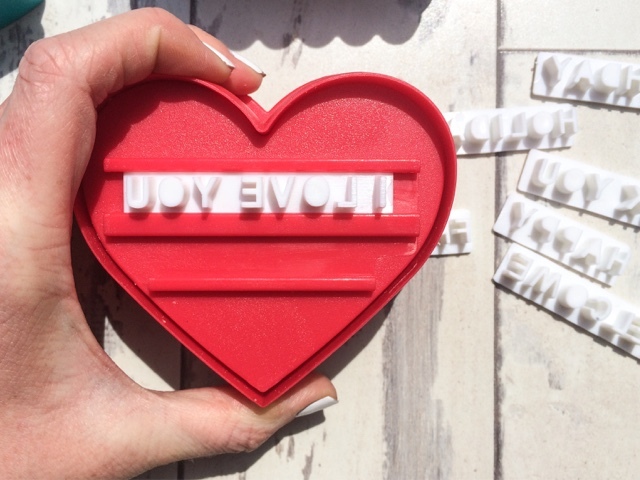 The cookie cutters themselves are pretty standard other than the fact that they have slots for you to insert letters to make your personal messages… And this is where it got a bit tricky! 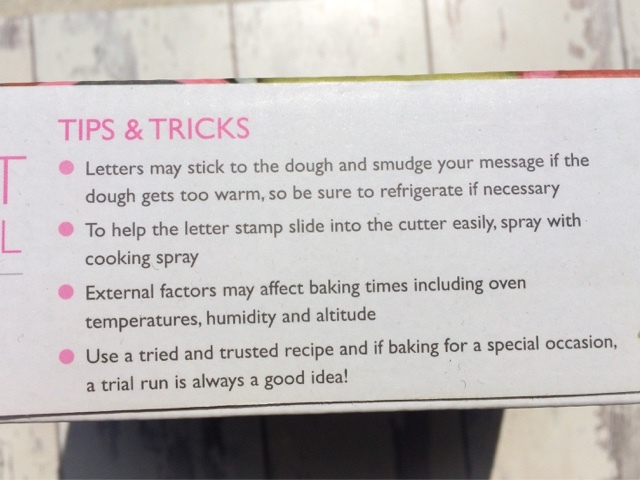 The cutter also operates as a type of stamp, so you press down the button on top which lightly stamps your letter onto the dough without going all the way through. This makes it difficult to slide in the letters as you have to try and push down the spring and slot in your letters at the same time, which is by no means easy! Regardless of having to keep the plunger pushed down, the letters themselves were very hard to slot in too. I found they were just too snug which made it so tricky to shimmy the letters along. I broke a lot of nails doing this and even had to get my boyfriend to help at times as I wasn’t strong enough to push them in myself! Not a very relaxing baking experience! I also found that many of the letters had tiny bits of plastic stuck to them where they’d be manufactured in big sheets and been broken up, which meant they wouldn’t actually fit in the racks at all so couldn’t be used. Thankfully you get several of each letter so I could always spell out what I needed but it was quite annoying to have to keep fishing out another letter as some hasn’t been made neatly enough. 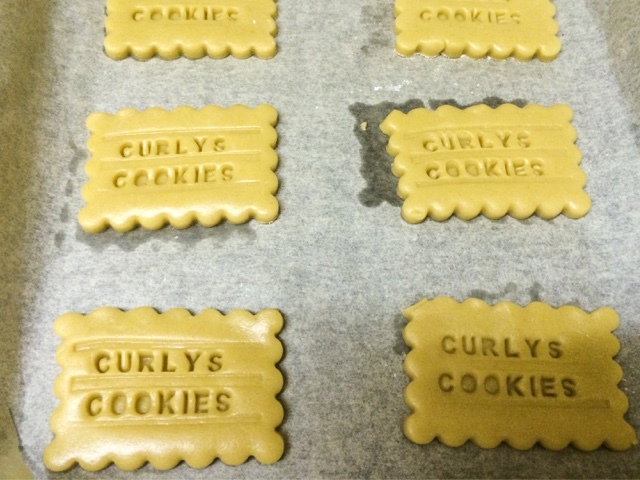 Overall I was pleased with how my biscuits turned out. 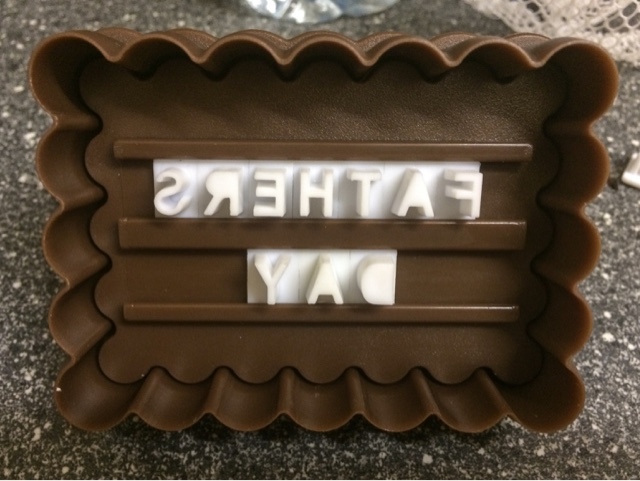 The letters hardly lost shape during the baking process so you could read the messages easily, although you do get the outlines of the lines of the rack imprinted as well as the letters which looks a bit messy (or “just proves they’re homemade” as my dad said!) 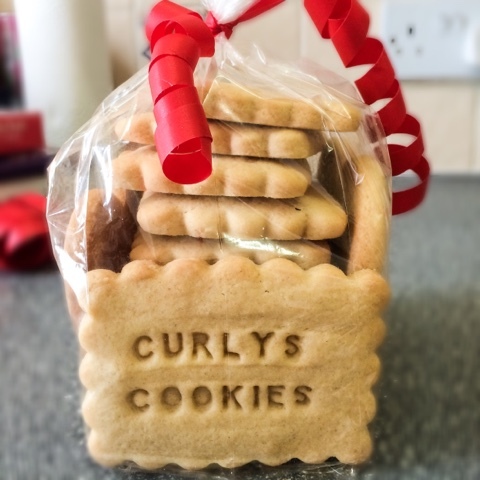 They tasted delicious though – my fail safe recipe worked again hurrah – and it was nice having the personalised messages on to jazz up the simple sugar biscuit look and flavour. I packaged them all up in a baking gift bag and tied with a ribbon which looked quite cute, and as you can see Curly was thrilled! 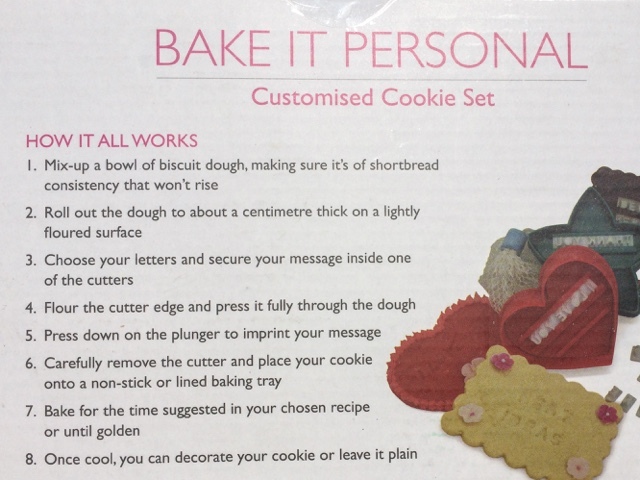 I’m glad I used the Bake It Personal kit to make my biscuits as I think personalised gifts are so nice – and edible personalised gifts will always go down well! It’s a shame it was so tricky to use though, and I have to say I haven’t used it since. 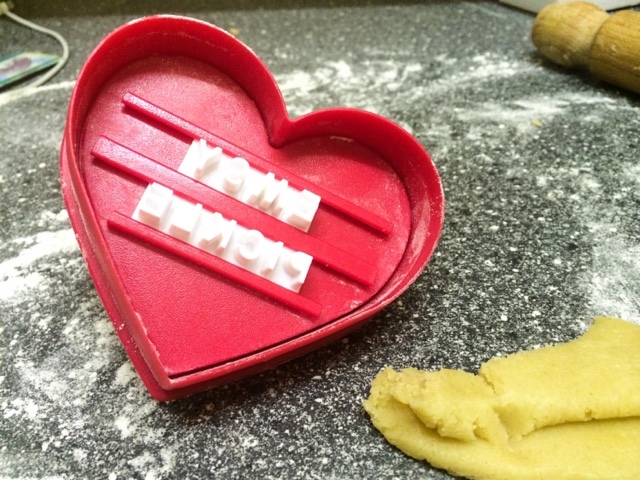 The kit does also include a free standing rack (not as part of a cutter / stamp) which I think would be easier to use as you cut out your cookie, load the letters into the separate stamp and press where required, which would make loading the letters a bit easier as you’re not juggling the push mechanism at the same time. I’d also be quite keen to give just pressing the single letters straight into the dough to bypass any need for struggling to fit them into the rack at all, though I have a feeling this would look very messy “homemade”! 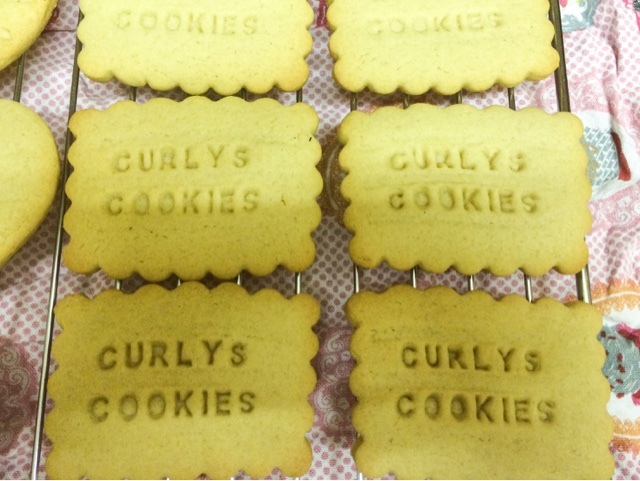 Have you tried using personalised cookie cutters before? 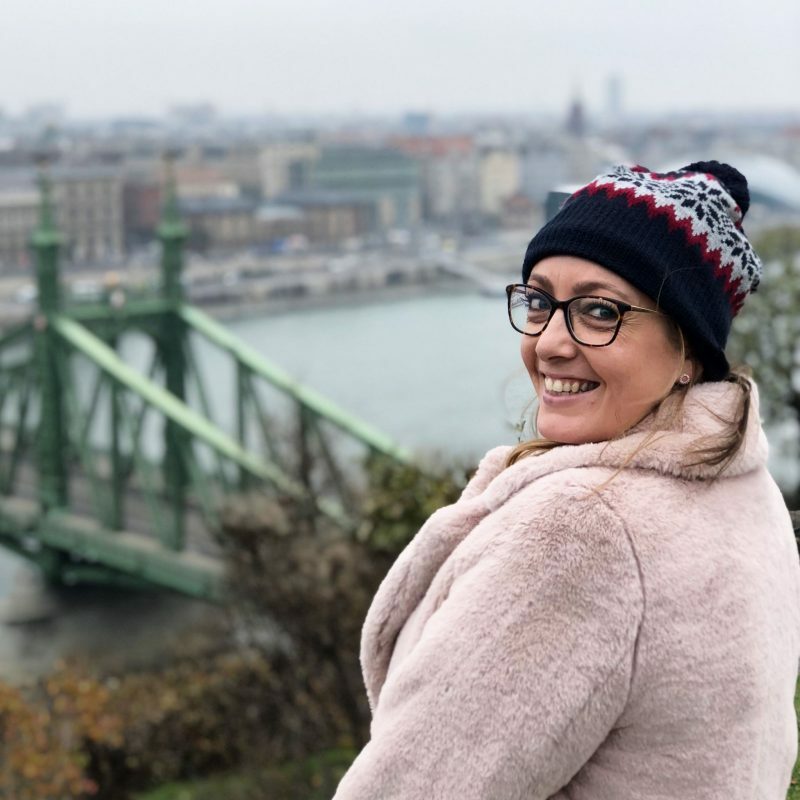 Please let me know below if you’ve got a set which is easier to use!